Oh Jones...: Day 2: ET Hands are real. Day 2: ET Hands are real. The other day someone asked me how dating was going. My stock answer: my invisible boyfriend and I are doing quite fine and he doesn't really appreciate you sitting so close to him. In reality: it's the worst. Here's why: the idea of dating in winter is the pits. Not just the arm pits, but the knee and elbow pits as well. For one thing it's been the coldest winter I have ever experienced. Sure, the first couple times it snowed I sang, "Do you wanna build a snowman?" like everyone else. However, if anyone even says, "Do you wanna..." I go straight for a throat chop. With it being so cold you have to dress in layers. If you're going on a date you want to dress in cute layers. 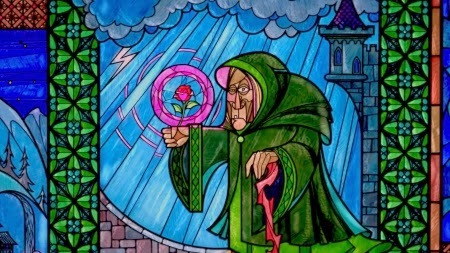 I roll in to any establishment looking like the beggar in the beginning of "Beauty & the Beast." Ask me one more time about building a snowman...see what happens. I guess layers wouldn't be so bad, if when you showed up you looked normal once you were in your intended outfit. But let's be real, you take off your hat: static town, population you. You take of your scarf, jacket, and gloves: welcome to the island of swamp hands and red face. Not to mention you're probably sweating because you just walked 12 blocks in 38 layers of wool and the transition from extreme cold to rainforest sauna is not a smooth one. why aren't Ben & Jerry emotionally available humans? Let's not forget that the cold makes your sinuses a mess, and who knows if you have a stray boog hanging out on your face. If the date goes well, sweet, it was worth it. But, there's quite a few dates that don't, so then you have to load up on layers again while the guy still makes awkward small talk about his figurines and how he's still so surprised that you couldn't tell his left eye was made of glass. Looking to the future, imagine that a couple dates go well and you're walking the streets with the dude you are dating. They want to hold your hand but you forgot your gloves, so all you have to offer is your scratchy ET hands, because no amount of lotion can save you at this point. At that point your boyfriend, hopefully named Elliott for the sake of this joke, will either ride with you in his bike basket to the moon, or immediately drop your hand and run. I know that there are couples that will hold hands inside each others jacket pockets, and to them I say: "Bravo" but also "No thank you." Perhaps it's because I'm already irritable based on the fact that I'm wearing every t-shirt I own and 9 pairs of pants, and 8 pairs of socks and I can't take one more item being near my person. Maybe I'm just a dating scrooge altogether, and I should look on the bright side that it's almost Spring. But with spring come pollen and bees. If this is a taste of the next 100 days, I for one can't wait! So true and so funny. I'm married and extremely thankful I don't have to date in extreme seasons anymore. Dating in the swampy heat is also no bueno. "why aren't Ben & Jerry emotionally available humans?" I second that; I can't wait for the next 100 days. This blog might just become my reason to get out of bed every day. And the scratchy hands, I can totally relate and I just can't with the lotion. Ugh. 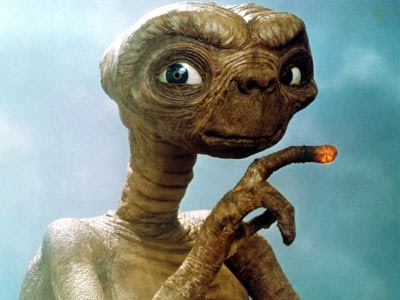 I currently live in North Dakota in the 2nd coldest city in America (Grand Forks) and ET hands are probably the most accurate descriptor for winter that I have ever heard. From December - beginning of March it rarely got above 0 degrees here. HA! This is all so, so true. I am going to start dating your blog. It's a really good boyfriend: always funny, never insulting, and cute. I might think that it doesn't answer my calls/texts, or call/text often enough, but I'm a busy lady -- and 1/day for 100 days? Can't complain.